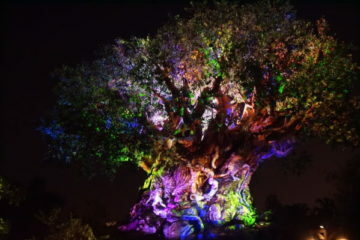 The Magic Kingdom at Disney World is a true family theme park. 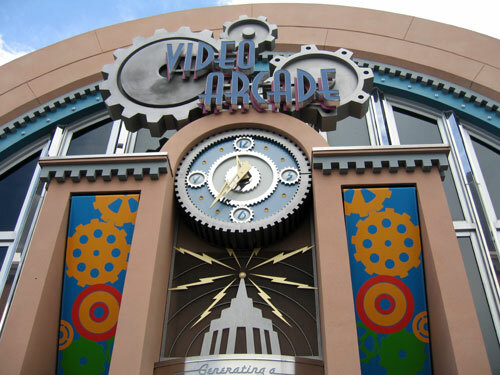 It has many slow-moving and whimsical dark rides appropriate for the youngest Disney enthusiasts, but it also has a few thrilling rides that will appeal to older visitors and may also serve as a perfect “My First Roller Coaster” for kids who have inched above the minimum height requirement. Big Thunder Mountain Railroad is one of these roller coasters, taking guests on a thrill-a-second ride along a twisting track. However, in true Disney fashion, Big Thunder Mountain is not just about the ride itself. The roller coaster track passes by a host of interesting and amusing sights that can keep riders entertained through many repeat rides. Big Thunder Mountain Railroad is one of the marquee attractions in Frontierland. One of the themed lands at the Magic Kingdom, Frontierland celebrates the American wild west and the settlements of the pioneers as they ventured into the lands to the west of the Mississippi River. The almost 200 foot-tall spire of the tallest butte at Big Thunder Mountain is hard to miss as you travel round Frontierland. Modeled after the otherworldly towers of Monument Valley in Utah, the red-orange peaks and other stony features of the mountain is a great playground for the coaster. In the world of Disney, Big Thunder Mountain is the home of the decrepit town of Tumbleweed, founded by eager miners searching for gold at the mountain’s heart. The mine has gone bust, but the mine car trains still rumble around the curvy tracks at wild speeds to create a thrilling ride for those brave enough to climb aboard. The trains take riders up over passes and down into the tunnels of the mine, past many different wildlife species, and even right next to the wind-swept bones of an enormous dinosaur skeleton. The train also passes the town of Tumbleweed itself, where riders can spot the saloon and other buildings along the main street of this tiny settlement. 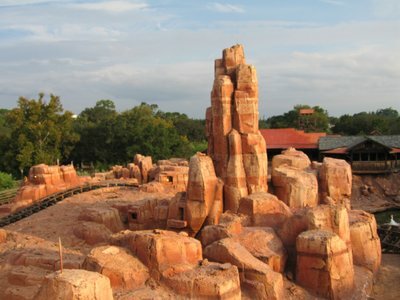 The peaks of Big Thunder Mountain take you to the American Southwest. Guests board Big Thunder Mountain Railroad from the building that housed the now decrepit mining company. Locomotive and steam whistle sounds effects at to the realism of the experience, while falling rocks, a waterfall, and a brief earthquake add to the thrill of the ride. The Magic Kingdom’s Big Thunder Mountain Railroad opened in 1980, almost ten years after the park opened to guests in 1971. 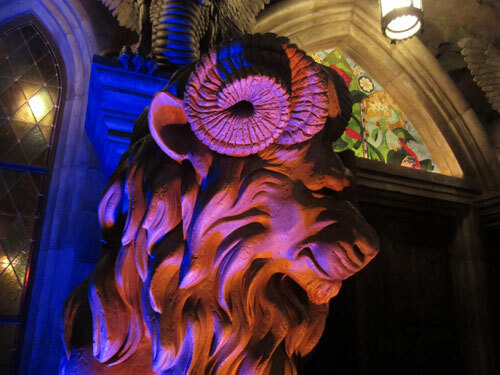 It is modeled after the Big Thunder Mountain ride at Disneyland Park in Anaheim, but the details of the design and “story” of the ride are unique. As roller coasters go, Big Thunder Mountain Railroad is relatively slow-moving. Rather than the high speeds, steep falls, or upside-down antics of many modern roller coasters, Big Thunder relies on rapid ups and downs and quick turns to generate its excitement. This makes for an entertaining ride without the strong g-forces and the feeling of having your stomach leap into your throat that is present in many roller coasters. However, Big Thunder is by no means a thoroughly tame ride, and guests should still prepare themselves for a true roller coaster experience. Rather than the over-the-shoulder restraints and contoured seats that many roller coasters use to lock guests into place, Big Thunder Mountain features bench seats wide enough for two guests, and a locking lap bar. While the bar locks guests securely into the car, it does not prevent a bit of sliding back and forth as the train travels around sharp corners. This adds to the thrill of the out-of-control runaway mine car experience that Disney has created. For even greater authenticity, the track on which the Big thunder trains travel deliberately creates a rough and bumpy feeling for the riders like a true mine car rumbling through the mountain. It’s not quite enough to make your teeth rattle, but it isn’t the perfectly smooth ride that many of us have come to expect from slick modern coasters. 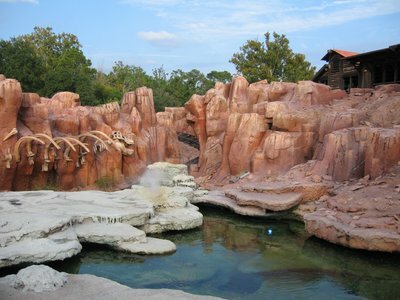 On Big Thunder Mountain you will ride past pools of water and also dinosaur bones. 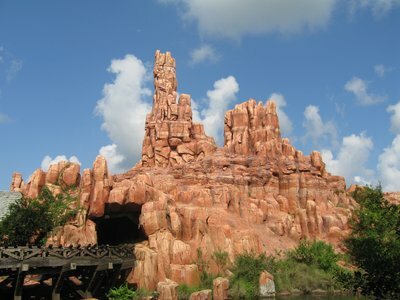 Big thunder Mountain Railroad is one of the few height restricted rides at the Magic Kingdom. Guests need to be a minimum of 40 inches tall in order to ride the roller coaster. On average, children will reach 40 inches in height when they are about five years old. Disney also stipulates that any children under the age of seven years should be accompanied by a guest aged 14 years or older. This roller coaster is often enjoyable for guests who do not enjoy modern high speed roller coasters. 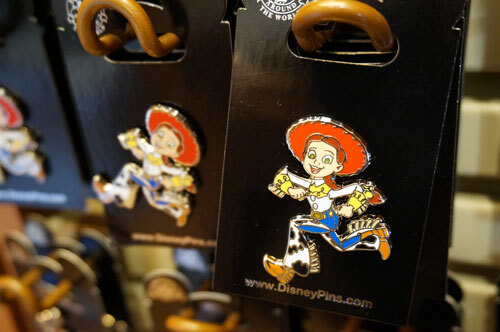 Big Thunder Mountain and Adventureland’s Splash Mountain – with its steep drop into the briar patch – are popular choices for children who are eager to experience their first thrill ride. Big Thunder Mountain Railroad is one of the most popular attractions at the Magic Kingdom, and as a result the wait times for the attraction are often quite lengthy. 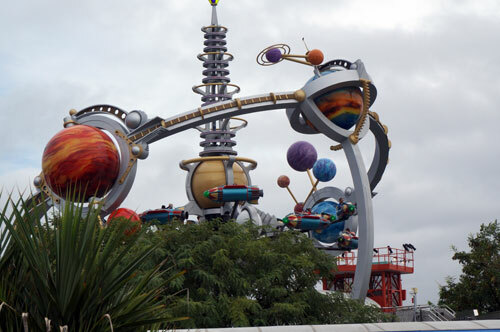 Fortunately, the ride has a FASTPASS available for guests who want to take advantage of that system. The rocks of Big Thunder Mountain Railroad are beautiful. Using the park entrance pass, guests can visit the FASTPASS machines at certain attractions and receive a ticket with a range of times during which they can return. For example, you might receive a FASTPASS for Big Thunder Mountain with 1:05pm – 2:05pm printed on it. If you return during those times, you may enter a through a special line that allows you to enjoy a significantly reduced wait time. You surrender your FASTPASS ticket when you enter the line, so that you may only ride once with each FASTPASS ticket. Big Thunder Mountain is one of the best rides to FASTPASS, especially during the extremely hot summer months. The standard line for the ride is partly outside, with minimal shade, and partly inside the windowless building of the abandoned mine company, which can be a bit stifling when the weather is warm and humid. Whether it is your very first roller coaster experience, or a ride that you have enjoyed during years of vacations, Big Thunder Mountain Railroad is a great time for everyone.